The One World Japan Jersey was designed in cooperation with a Japanese artist and incorporates beautiful Japanese iconic artwork as well as meaningful symbols and images. 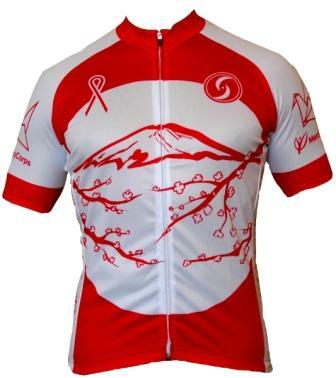 The front of the jersey features a red and white Japan Earthquake Relief Ribbon. A bold outline of the Mt. Fuji, one of the universally recognized symbols of Japan, is underscored by Japanese cherry blossom branches. The sleeves of the jersey bear the official seal of Mercy Corps, and an outline of a Japanese Paper Crane - a national symbol of hope for the people of Japan. The back of the jersey features the official symbols of the 6 prefectures in Japan that suffered widespread destruction from this earthquake. From left to right, Ibaraki, Iwate, Miyagi, Chiba, Fukushima and Aomori. In the small of the back is etched the local time when the 9.0 Earthquake struck Northeastern Japan. The jersey is flanked with side panels that read "One Hope", with the Japanese Kanji Characters for "Hope" on one side, and "One World" with the universal peace symbol on the other. 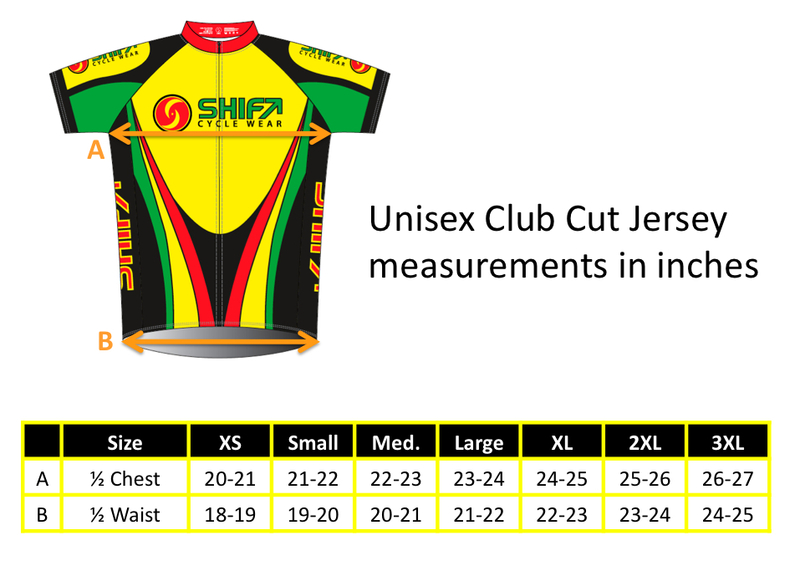 Please click here for women's cut version.